We have extensive amounts of ostrea edulis, the European oyster in Boston Harbor. Their rane extends at least to Plymouth. They tend to be active in deeper waters than our native crassostrea virginica, which prefers being around the low tide line and above. The German Federal Agency for Nature Conservation (Bf N) is investigating the potential for European flat oyster, Ostrea edulis, restoration in the North Sea. Germany’s current interest in restoration comes from a combination of recognizing the ecosystem service benefits of restored oyster habitat and a huge current interest in developing industrial uses of the North Sea (sand and gravel mining, oil and gas extraction and pipelines and offshore wind energy). With Germany’s strong conservation laws, this presents the possibility of gaining compensatory funding to support restoration. 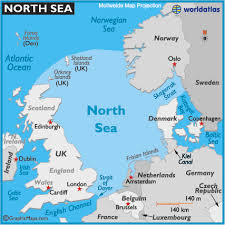 The planned or existing industrial uses of the North Sea also provide a refuge from disturbance from the trawl fishery. Currently each m2 of trawl ground is fished 1.8 times per year. While industrial uses may present opportunities, uses such as wind farms are currently being proposed in depths of around 40m, a depth which introduces considerable logistical challenges for restoration. The Bf N has commissioned a feasibility study of oyster restoration in German waters. The study is being conducted by The Institute of Applied Ecology (IFAO). The feasibility study includes a literature review, documentation of the historical distribution of the oyster, an expert workshop, a genetic study to understand regional differences, investigation of hatchery capacity, the feasibility of deep water restoration, and development of preliminary monitoring plans that might be applied to deeper restoration sites. In November 2012, Henning von Nordheim, Scientific Director and Head of Marine and Coastal Nature Conservation at Bf N chaired the workshop of oyster scientists and restoration practitioners at the headquarters of Bf N’s International Academy for Nature Conservation (INA) on the Isle of Vilm in the Baltic Sea. The workshop was attended by experts from Germany, the UK, Denmark, Holland, France, Spain and the US. The workshop opened with a briefing by the IFAO scientists on the history of the flat oyster in the North Sea and Wadden Sea. The oyster beds on the tidal flats of the Wadden Sea may have been the first managed fisheries in Europe. In the 1500’s, the Danish monarchy, then ruling over the German Bight, decreed that all oysters belonged to the crown. In 1587, a permit was introduced for the harvest of oysters by those not fishing on behalf of the King. By 1652, fishing rights had been established and stock assessment introduced, but by the late 1600’s, the nearshore beds had been fished out. The deeper, and very extensive, oyster grounds in the North Sea and English Channel were fished out with the introduction of unrestricted industrial dredging in the second half of the 1800’s. The flat oyster is now functionally extinct in the Wadden Sea and the deeper grounds of the North Sea and English Channels.